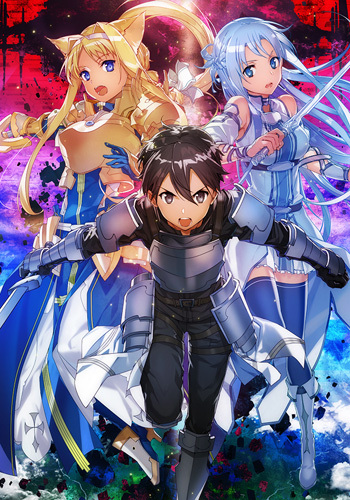 Dengeki Bunko has revealed the cover for volume 21 of Sword Art Online. The novel begins a new arc, taking place after the long-running Alicization arc. Volumes 9-18 covered the Alicization arc while volumes 19-20 covered an extra story arc, Moon Cradle. 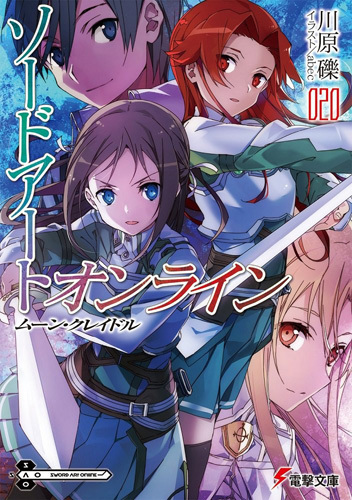 You can check out the newest cover below featuring Kirito, Asuna and Alice. According to the novel’s page, the arc takes place in a new Survival MMO, “Unital Ring.” The world is a mix of other VRMMO’s built by “The Seed” program. This may explain why Asuna has the appearance of her Undine avatar from Alfheim Online, minus her pointed ears. Sword Art Online -Unital Ring I- is set to release in Japan on December 7, 2018. Yen Press has licensed the novels for release in North America. 14 volumes are currently available for purchase in North America with the next one launching on December 11, 2018.